Liki Tiki Village two-bedroom, two-bath Orlando vacation condos made for the perfect home base for all your holiday activities. After experiencing world-famous attractions such as Walt Disney World® or enjoying world-class shopping at Orlando Premium Outlets, you'll appreciate a little downtime at our resort in Orlando Florida. 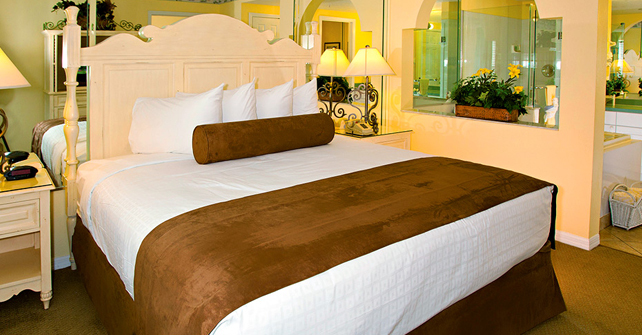 The master bedroom features a king-sized bed, TV, and an accompanying bath. 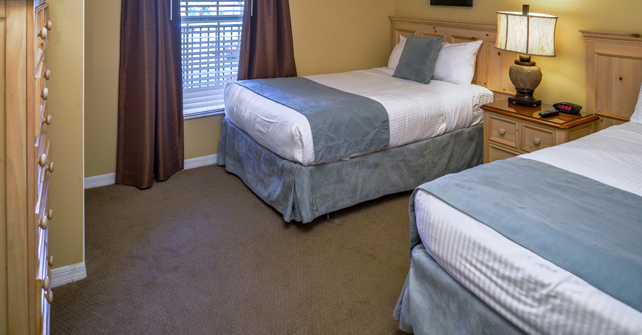 The second bedroom provides two twin beds, and its own TV (no TV in the second bedroom of townhouse units). The living area offers a queen-sized sofa-sleeper, and a large flat-screen TV provides entertainment for those relaxing times. 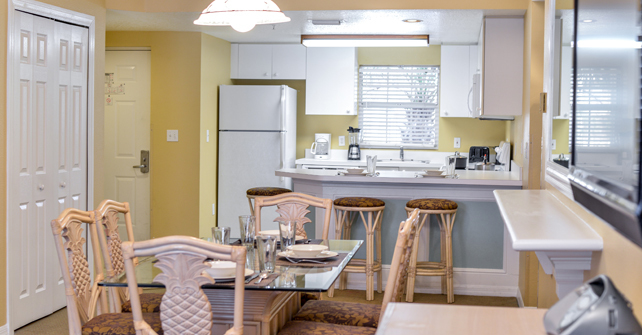 A fully-equipped kitchen in our condos affords preparation of speedy snacks or a full meal. 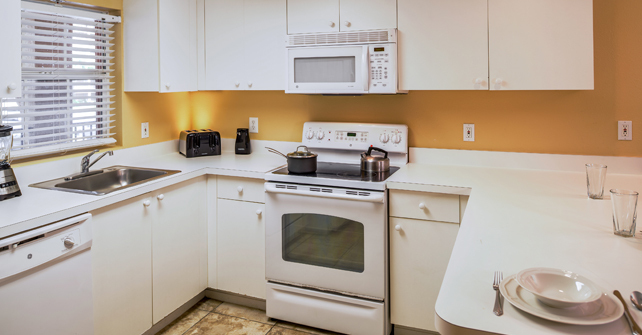 Conveniently located within the unit are a washer and dryer for quick laundry clean up. 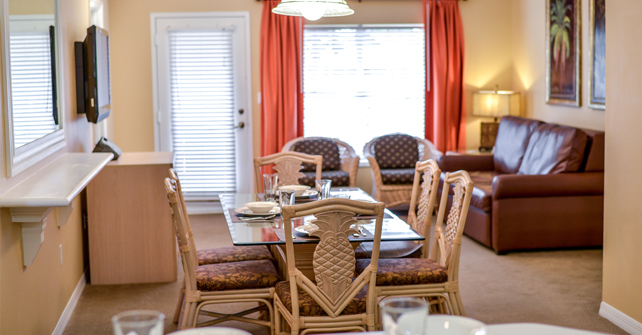 The two-bedroom condos at our Orlando resort are approximately 1,000 square feet.